CAREER HIGHLIGHTS: Weber joined Daimler's management board in January 2003 and has led group r&d since May 2004. 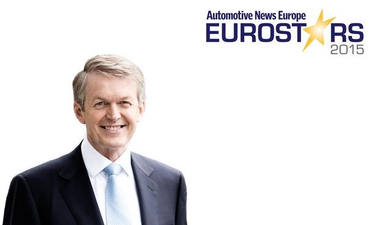 He joined Daimler-Benz in 1987 and after various posts in development and production, he was promoted to director of Mercedes' compact car plant in Rastatt, Germany, in 1999. REASON FOR WINNING: Mercedes is leading the German premium pack on autonomous driving. The automaker has been testing piloted vehicles on U.S. public roads since last September. In January at the Consumer Electronics Show in Las Vegas it premiered the futuristic F 015 concept, a lounge-on-wheels that provided an even longer-term look at the future for self-driving vehicles. Under Weber, Mercedes also has announced an ambitious rollout of 10 new plug-in hybrid versions of its popular models by 2017.